When Louis Blumstein arrived in New York in 1885, the mansion of Dr. John Ferdinand stood in the Harlem area that would become West 125th Street. Before the end of the century the neighborhood would become a high-end suburb and the doctor’s handsome home would be gone. The management methods of the sometimes stern German Blumsteins, however, was not always appreciated. Carolyn Stock worked in the store in March 1900 when Benjamin Blumstein asked her to show him a box of handkerchiefs. By mistake she pulled down the wrong box. Blumstein’s reaction was, perhaps, excessive. Carolyn Stock sued Benjamin Blumstein personally for $2,000 damages. The retailer’s lawyer insisted that “the handkerchief box fell on the floor, and that the proprietor walked away without doing anything.” The jury deliberated for ten minutes and granted the salesgirl’s demands—about $54,000 today. Blumstein’s was a rather upscale department store, offering Easter Dresses in 1911 for $18.50; more in the neighborhood of $450 today. But Harlem was changing. More and more black residents moved into Harlem hoping to escape the discriminatory practices of downtown landlords. The Blumstein brothers resisted the change and it would later cause them problems. On Sunday, January 25, 1920 Louis Blumstein died at the age of 56. The family mourned, then got on with enlarging the business. On July 3, 1921 The New York Times reported that Blumstein’s would begin tearing down five old buildings that week. 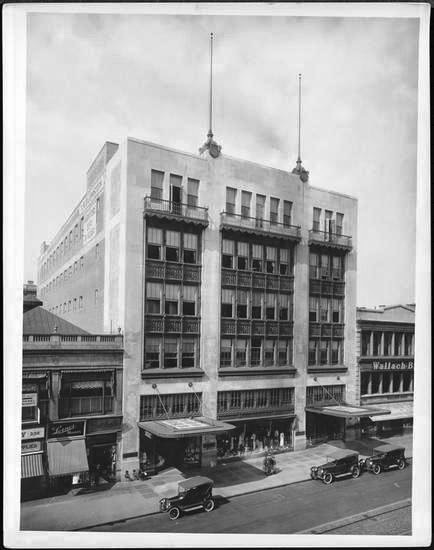 The old two-story department store would go, as would the buildings facing 124th Street. 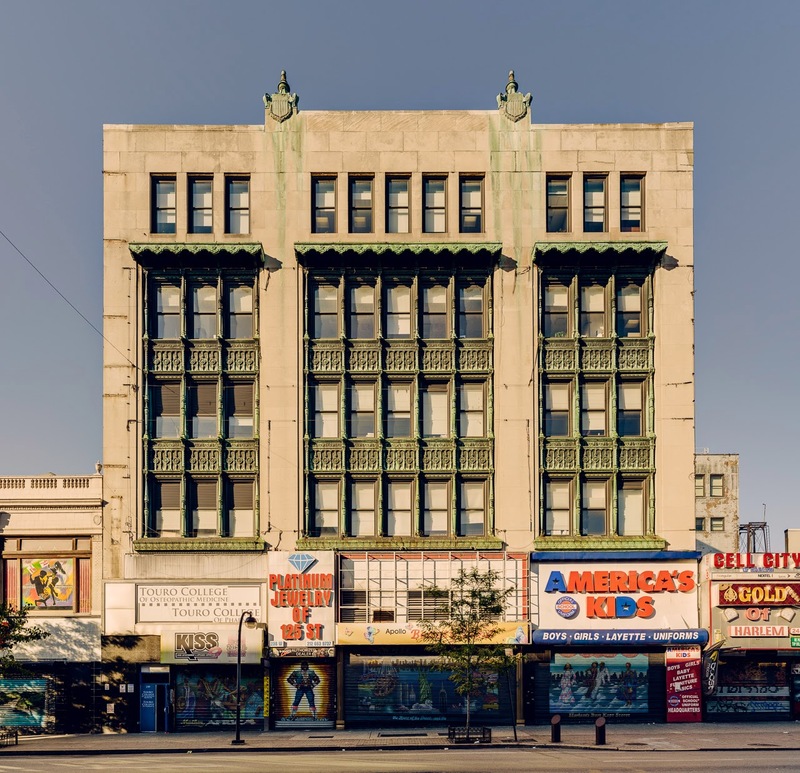 “Plans were prepared several months ago by the architects, Robert D. Kohn and Charles Butler, for an eight-story building to cover the entire site,” said the newspaper. Placing the cost at $1.25 million, The Times said “It will be the most ambitious structure erected in the Harlem area for many years. 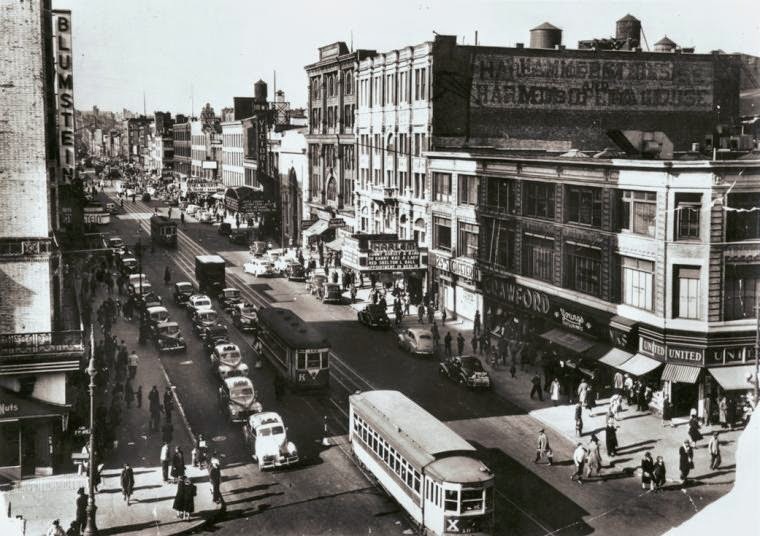 In order to avoid disruption of business, the 124th Street section was constructed first. Then the store was moved to that area and the original store demolished and rebuilt. Among the conveniences for shoppers were five passenger elevators and a cafeteria in the basement. 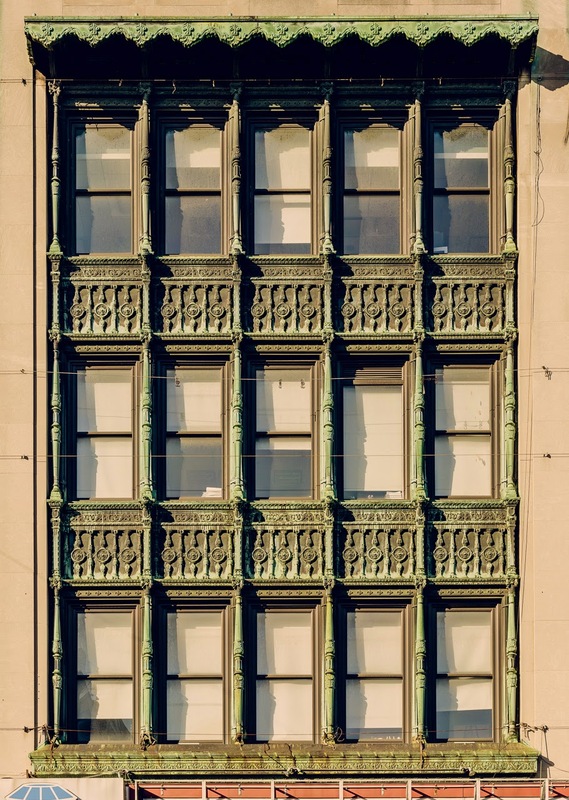 On the top floor were “rest and recreation rooms for employes.” The building was completed in 1923—an unexpected combination of the arriving Art Deco movement and the quickly-receding Art Nouveau. 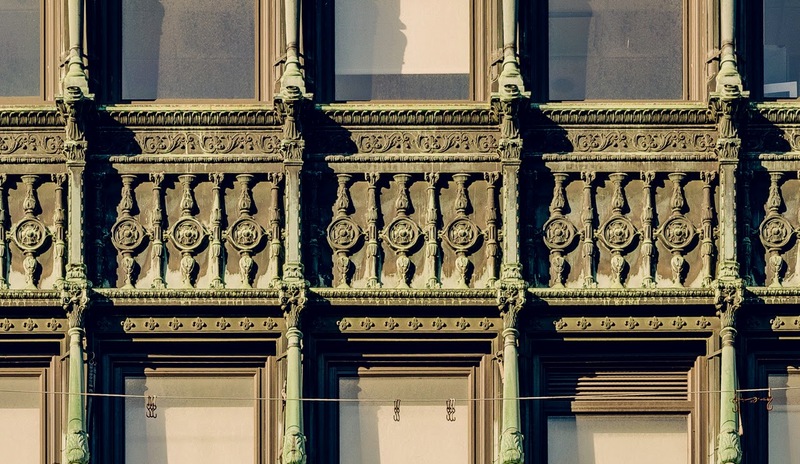 Copper was more important than limestone in the architects’ novel design. Above the three sets of grouped openings were unusual and eye-catching copper awnings. Before the decade was up, black shoppers at Blumstein’s outnumbered whites. But the employees were, with the exception of menial labor, all white. It was a situation that did not go unnoticed by residents increasingly vocal about their civil rights. The League’s economic boycott was supported by more than 50 churches and groups. Among those churches was the Abyssinian Baptist Church pastored by both Adam Clayton Powell, Sr. and Jr. The boycott—the theme of which was “Don’t Buy Where You Can’t Work”—was successful. Not only did the Blumsteins change their hiring practices; their department store was the first to use black mannequins and—no doubt a shock to some white shoppers—a black Santa Claus at Christmas time. In 1937 20-year old Irving Barr had been working in the store as a sign painter and handyman for several years. Surrounded by jewelry and other expensive items, the low-paid Barr hatched a plan. On May 11 he hid in the store at closing time, waiting until everyone was gone. He then stole two suitcases from the store’s stock and filled them with fountain pens, watches and other easily transportable costly items. Suddenly Barr was discovered by the watchman, Joseph Geiger, described by The New York Times as “a frail 61-year old man.” Knowing that Geiger recognized him, Barr panicked. He hit the old man repeatedly with a hammer. Barr rushed to the roof of Blumstein’s and tossed the two suitcases to the roof of a nearby apartment building. Police said that he then “descended to the engine room and hit Geiger again.” After what The Times called “intensive detective work,” Barr was arrested and charged with homicide. The store that had unintentionally been a flash point in the early civil rights movement welcomed Martin Luther King to the store for a book signing on September 20, 1958. King sat behind a table autographing copies of his Stride Toward Freedom when Mrs. I. W. Curry approached. The woman groped in her purse and pulled out a sharp stiletto-like letter opener which she plunged into the civil rights leader’s chest. When the ambulance arrived a few minutes later, the weapon was still protruding from King’s chest. The customer’s prudent action, or lack of action, no doubt resulted in his survival. King was rushed to Harlem Hospital where the wound was treated. Mrs. Curry’s letter opener had grazed the aorta without piercing it. Now, in 1971 the pet shop was in the basement and New York Magazine’s description was less glowing, saying it was located “down two slightly dingy flights of steps.” Nevertheless, the store offered an amazing selection of animals, many of which would be illegal today. 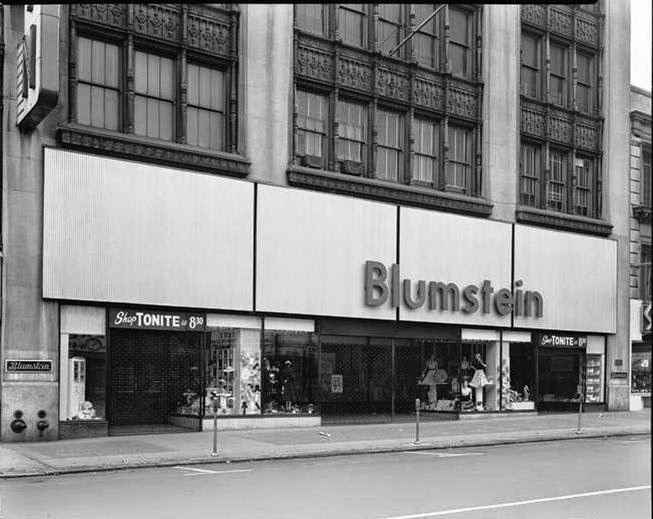 Five years after the article was printed, the Blumstein family sold the building. Before long a variety of small businesses filled the now-divided floors where women had shopped for Easter dresses and, later, civil rights history played out. In 2002 the last president of Blumstein’s Department Store, Kyver Blumstein, died at the age of 95. Today Touro College has taken over much of the building as its college of medicine and college of pharmacy. Distracting plastic retail signs plaster the lower levels so that only by glancing upward can a passerby appreciate the surviving remnant of an important part in Harlem’s development and the Civil Rights movement in America.